And may all life’s passing seasons Bring the best to you and yours. 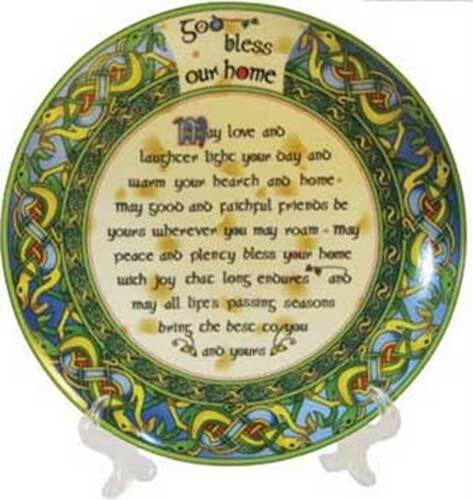 This Irish plate features a traditional home blessing that is enhanced with colorful Celtic knot-work. 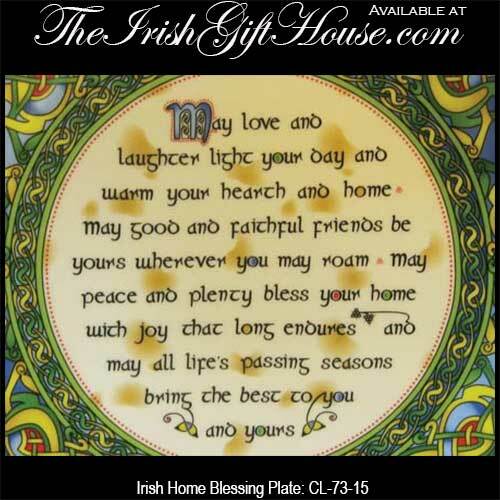 This bone china Irish home blessing plate measures 8" diameter and it may hang on your wall or stand with the included easel. The Irish home blessing dish is dishwasher and microwave oven safe. The gift for the Irish home is gift boxed with a Celtic knot history card that is compliments of The Irish Gift House.